All over the internet, you can find reputable climate scientists circling the wagons around mainstream views on sea level rise. Why? Because climate scientist James Hansen, formerly of NASA, and 16 other scientists have released a study, not-yet peer-reviewed, that projects sea levels could rise by up to 10 feet by the end of this century—way faster than earlier studies have suggested—swamping cities like Shanghai and New York. There are good reasons to both embrace and reject this study without reading it (or being able to understand it). 1. Hansen is one of the world’s leading climate scientists who has often been a bit of a hawk, out in front of the crowd, and subsequently been proving right. But 2. 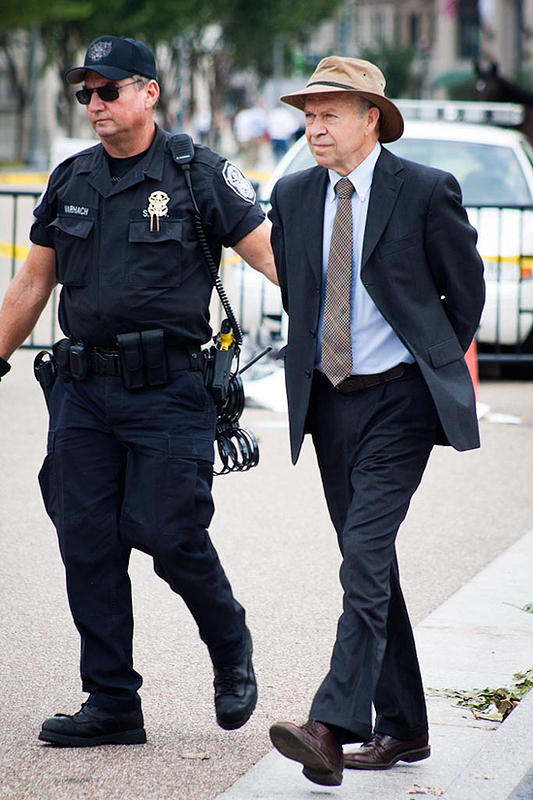 Hansen has increasingly joined up with activists, making his dire predictions suspicious—maybe he’s just trying to prime the climate action pump. But fascinating as all this is from a social studies of science perspective, it’s missing the point! Namely: that the most dangerous sea-level rise is probably avoidable through decarbonization. Put more simply, some sea level rise is inevitable. But the most catastrophic outcomes depend on how much carbon we emit. The danger that cities face is a dependent variable. This is actually not remotely obvious to the world of climate resiliency, where designers and policy entrepreneurs specialize in fortifying cities from bad weather while remaining, in practice, ambivalent about the root causes of this danger—namely, carbon emissions. Back to Hansen. I find it strange that while techies and financiers obsess over “black swans“—implausible but possible catastrophic developments—climate activists and scholars are huffing that Hansen et al’s study is just a particularly grim scenario. So were World War 2 and the 2008 financial meltdown. And yet neither posed a threat to civilization on the level of climate change. All smart people should worry about plausible outlier scenarios. In other words, the climate community might benefit from a little less respectability politics, and a little more creative thinking on cities and climate change. While oceans swollen by global warming threaten to swallow our cities, mainstream climate debate still accepts a bizarre division of labor: countries are supposed to pass carbon taxes and energy policies, little communities are supposed to install solar panels, and cities are supposed to fortify themselves. When we accept this framework, we disarm one of our most potent low-carbon weapons: cities, and the whole wide range of political actors who take urbanization as their object of struggle. In fact, changes to the urban form, necessary under all scenarios, and potentially funded by the mountains of idle cash lurking in our economy, could slash carbon emissions by a massive amount, directly and indirectly, without building a single solar panel or windmill. The New Urbanist Peter Calthrope estimates that by 2050, the US could meet half its decarbonization targets through pro-density planning alone. Even if it were just a quarter, the effort would be essential. Further emissions reductions could be achieved indirectly by reducing the private consumption of so much unnecessary stuff (produced elsewhere) by redirecting city-dwellers’ time and energy, away from buying unneeded crap and toward spending time with other people (playing sports, watching plays, getting drunk, etc) in ways that safe, dense urban spaces facilitate. This approach need not have anything to do with “green austerity” (which is a terrible idea). There are ways of pursuing such an urban agenda in ways that would dramatically improve the quality of life of the poor and working class. We should treat the Hansen study not as a threat to scientists’ reputation for comfortably conservative estimates, but as fuel for the intellectual and political work needed to survive the 21st century. And that includes boldly transforming and decarbonizing the city.